Our showrooms are stocked with hundreds of one piece and two piece cue sticks. Our cues are available in 36″, 48″, 52″ and 58″ lengths. The standard 58″ cue is available in 18, 19, 20 and 21 oz weights. Most cues are made of wood, but occasionally the wood is covered or bonded with other materials including graphite, carbon fiber or fiberglass. 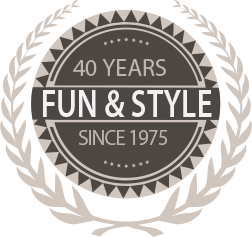 We carry the best American made brands including McDermott and Viking as well as the best imported lines including Cuetec, Varner, Player, Lucasi and others. 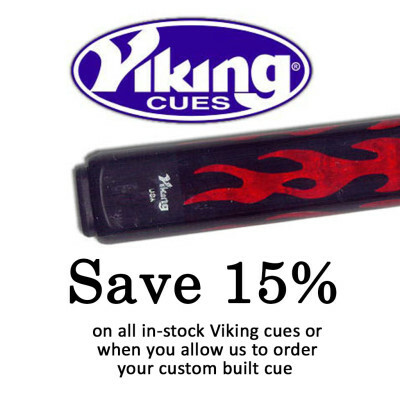 Stop by one of our New Jersey Showrooms and find a cue that’s a perfect fit for you.